We realize you may want to plan your day minute by minute and that appointment duration can range from 5 minutes to a whole day. 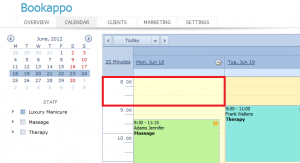 In order to satisfy your and your business’s needs, we have added a useful feature that allows you to divide the working hours in your Calendar into 5, 10, 15, 20, 30 and 60 minutes increments. This enables you to fill in and plan even the smallest detail of your day. 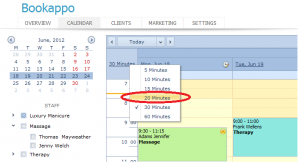 In the “Scheduling options” in your Bookappo account, you can also find an option to set time increments on your booking website at which your clients can book appointments. You can select the same time increments as in the calendar (recommended) or choose other times ranging from 5 minutes to 8 hours. This on the other hand, allows you to be in control when your clients can book appointments and how long the appointments will be. 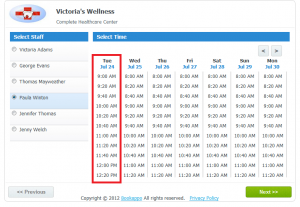 Learn where and how to set the time increments in the following section. 1. Go to your calendar and notice the arrow button in the top left corner. 2. Click on the arrow button. A small menu with time increment options will appear. Choose which one is the most suitable for your needs. We used a 20 minute increment as an example. 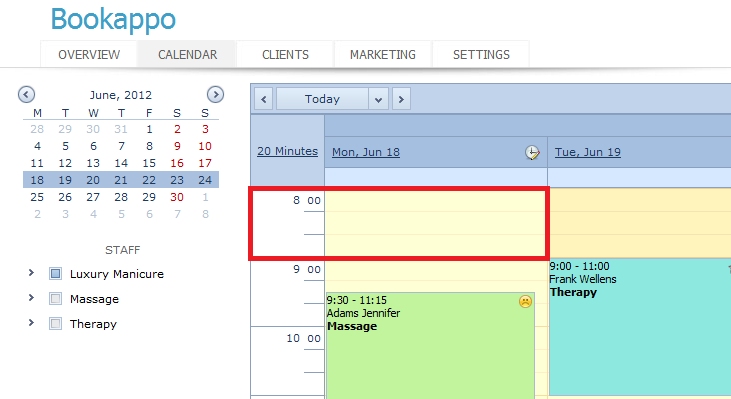 3 After clicking on your chosen option, the calendar will automatically update the newest setting. Each hour in your calendar will now be divided into three 20 minute increments as shown on the picture. 1. 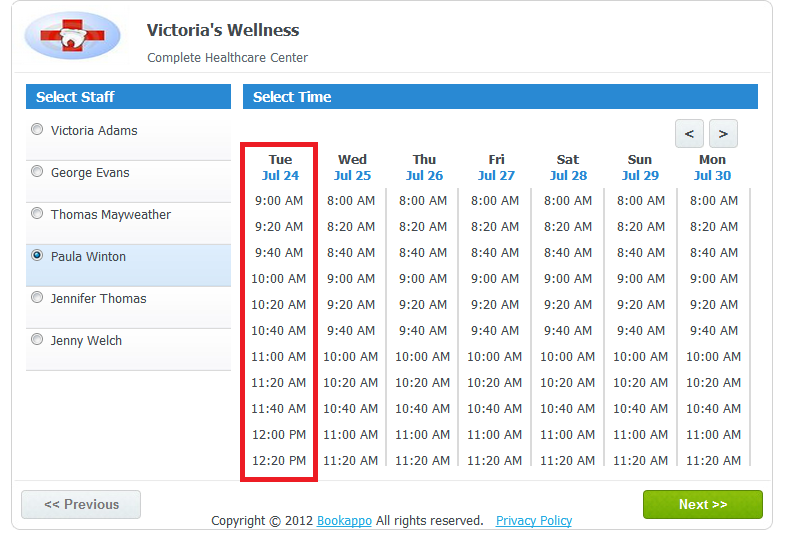 To set the time increments on your appointment booking website, go to Settings -> Appointments -> Scheduling Options. Once you are there, notice the fourth option. 2. Selecting “20 mins” will divide the hours at which your clients can book appointments online into 20 minutes increments. 3. Your Booking Website will show the following times: 8:00 AM, 8:20 AM, 8:40 AM, 9:00 AM etc. If you have a topic suggestion or you would like us to answer your question on our blog, don’t hesitate to contact us using our special form or write an email to support@bookappo.com . This entry was posted in Tips & Tricks and tagged Calendar, Online Booking, Time Increment, Tutorial by admin. Bookmark the permalink.